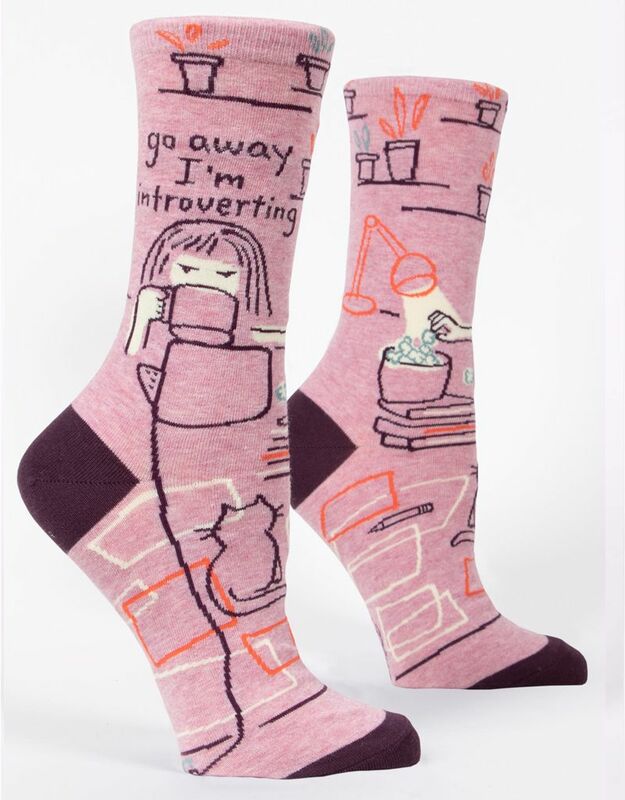 ”Go Away, I'm Introverting" Crew Socks. 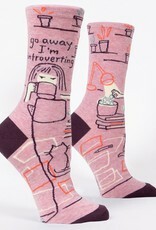 When I respect someone, it's because they're smart, straightforward and because they leave me alone. Women's shoe size 5-10. 52% combed cotton; 46% nylon; 2% spandex.